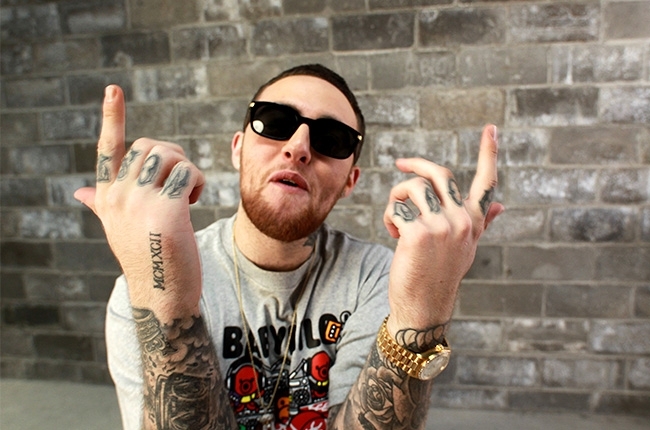 Mac Miller combines forces with Big Jerm and P. Fish for his latest offering titled, “I Come In Peace.” The track showcases the Pittsburgh emcee doing his thing over a hypnotizing and mellow instrumental as he spits random lines about his city, what he would name his daughter if he had one, smoking with the coast guard and a bunch of other random thoughts. Take a listen as Mac Miller opens about about all the crazy things he’s got going on in his head. This entry was posted in Audio and tagged big jerm, hip hop, I come in Peace, ID labs, mac miller, p. fish, rap. Bookmark the permalink.